Patricia A. Cassano, MPH, Ph.D., is Professor and Interim Director, Division of Nutritional Sciences, Professor of Healthcare Policy and Research, Weill Cornell Medical College, and Director of Graduate Studies for the Minor Field of Epidemiology in the Cornell University Graduate School. Dr. Cassano is an epidemiologist with interests in nutrition and genetics; she has specialized expertise in the etiology of respiratory diseases. Dr. Cassano has methodological expertise in the design, conduct and analysis of analytical epidemiological studies, including long-term prospective cohort studies incorporating biological markers of nutrition and metabolism and molecular markers of genetic variation. Dr. Cassano is a member of a consortium of genome-wide association studies (GWAS) to investigate the relation of genetic variation to pulmonary phenotypes. She is multi-PI of recently completed NIH-funded study of gene x nutrient interactions in relation to pulmonary function phenotypes (with Dr Dana Hancock, RTI). This work is leading to new discoveries of genetic variants that interact with nutrition, including vitamin D and omega-3 fatty acids, to influence lung function. Dr. Cassano led the EnHANCE Pilot Study of Cornell freshmen, which identified a biological marker (erythritol) of gain in adiposity in the transition from home to college. Dr. Cassano led the Respiratory Ancillary Study to the Selenium and Vitamin E Cancer Prevention Trial (SELECT). This randomized trial found that supplementation with selenium attenuated the decline in lung function in cigarette smokers. Further studies are underway to define the genetic contribution to response to vitamin E supplementation, and to study whether benefit from the intervention was modified by genetic traits. Dr. Cassano's research program is funded by NIH. Research is conducted is in the context of graduate student training and in collaboration with post-doctoral researchers. Dr. Cassano teaches the foundation course in Epidemiology for graduate students on both campuses, including the Graduate School of Cornell University and the Weill Cornell Medical College Translational Science program in Clinical Investigation. She is lead instructor for two team-taught courses, one on grant writing and the other on Translational Research and Evidence-based Policy and Practice in Nutrition. Dr. Cassano directs the WHO/Cochrane/Cornell Summer Institute on Systematic Reviews in Nutrition for Global Policy Making, which is a collaborative effort among the World Health Organization, Cochrane and the Division of Nutrtional Sciences. This Institute, which is in its sixth year, trains about 30 participants from around the world each summer during an intensive two-week training, and includes faculty from WHO, Cochrane and Cornell. AH Agler, RG Crystal, J Mezey and PA Cassano. Differential Expression of Vitamin E and Selenium-Responsive Genes by Disease Severity in Chronic Obstructive Pulmonary Disease (2013). COPD: Journal of Chronic Obstructive Pulmonary Disease10(4):450-8 (doi: 10.3109/15412555.2012.761958). PMCID PMC4060420. KA Guertin, RK Grant, KB Arnold, JA Hartline, PJ Goodman, CM Tangen, LM Minasian, SM Lippman, E Klein, PA Cassano (2016). Effect of Vitamin E and Selenium on F2-Isoprostanes, a Biomarker of Oxidative Stress (2016). Free Radical Biology and Medicine Mar 22; 95:349-356. Hootman KC, Guertin KA, Cassano PA (2017). Longitudinal Changes in Anthropometry and Body Composition in University Freshmen. Journal of American college health; 65(4):268-276. PubMed PMID: 28085641. Bae S, Kamynina E, Farinola AF, Caudill MA, Stover PJ, Cassano PA, Berry R, Peña-Rosas JP. Provision of folic acid for reducing arsenic toxicity in arsenic-exposed children and adults (Protocol). Cochrane Database of Systematic Reviews 2017, Issue 5. Art. No. : CD012649. DOI: 10.1002/14651858.CD012649. J Xu, TM Bartz; G Chittoor, G Eiriksdottir, AW Manichaikul, F Sun, N Terzikhan, X Zhou, SL Booth, GG Brusselle, IH de Boer, M Fornage, AC Frazier-Wood, M Graff, V Gudnason, TB Harris, A Hofman, R Hou, DK Houston, DR Jacobs, Jr., SB Kritchevsky, J Latourelle, RN Lemaitre, PL Lutsey, G O’Connor, EC Oelsner, JS Pankow, BM Psaty, RR Rohde, SS Rich, JI Rotter, LJ Smith, BH Stricker, VS Voruganti, TJ Wang, MC Zillikens, RG Barr, J Dupuis, SA Gharib, L Lahousse, SJ London, KE North, AV Smith, LM Steffen, DB Hancock*, PA Cassano*. Large-Scale Meta-Analysis Provides Evidence for an Association of Serum Vitamin D with Pulmonary Function (2018). British Journal of Nutrition 2018 Nov;120(10):1159-1170. J Xu, NC Gaddis, TM Bartz; R Hou, AW Manichaikul, N Pankratz, AV Smith, F Sun, N Terzikhan, CA Markunas, BK Patchen, M Schu, MA Beydoun, GG Brusselle, G Eiriksdottir, X Zhou, AC Frazier-Wood, M Graff, TB Harris, MA Ikram, DR Jacobs, Jr., LJ Launer, RN Lemaitre, G O’Connor, EC Oelsner, BM Psaty, VS Ramachandran, RR Rohde, SS Rich, SJ Robins, JI Rotter, S Seshadri, LJ Smith, H Tiemeier, MY Tsai, AG Uitterlinden, VS Voruganti, M Fornage, MC Zillikens, SJ London, RG Barr, J Dupuis, SA Gharib, V Gudnason, L Lahousse, KE North, LM Steffen, PA Cassano*, DB Hancock*. Omega-3 Fatty Acids and Genome-wide Interaction Analyses Reveal DPP10-Pulmonary Function Association (2019). American Journal of Respiratory and Critical Care Medicine 2018 Sep 10. doi: 10.1164/rccm.201802-0304OC. [Epub ahead of print]. Dr. Cassano directs the WHO/Cochrane/Cornell University Summer Institute for Systematic Reviews in Nutrition for Global Policy Making. This 2 week summer institute, which is held on the Cornell campus, attracts about 25-30 participants from around the world for training in evidence-based approaches to nutrition policy. 2018 is the 5th annual offering of the Institute. Dr. Cassano teaches a graduate course in Epidemiology, co-teaches a graduate course on Translational Research and Evidence-based Policy and Practice in Nutrition, and leads a graduate course in grant-writing. 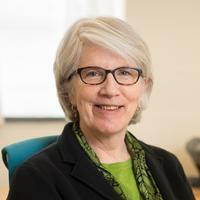 In addition, she directs the annual WHO/Cochrane/Cornell University Summer Institute for Systematic Reviews in Nutrition for Global Policy Making. Dr. Cassano advises PhD students as well as undergraduates majoring in Human Biology Health and Society and Nutritional Sciences, including students in the College of Human Ecology and students in the College of Agriculture and Life Sciences.